At least six lawyers from the İzmir branch of Contemporary Lawyers Association (ÇHD) have been detained by police, the Cumhuriyet daily reported on Sunday. Releasing a public statement late on Sunday, ÇHD’s İzmir board of directors condemned the detentions. “The houses and offices belonging to our lawyer colleges were raided by police this morning. 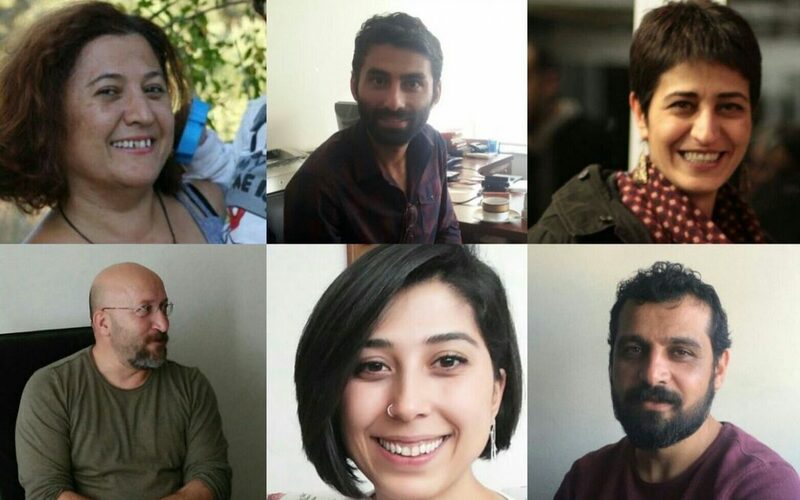 We are saying it again: ‘We are the lawyers of whoever in need, including Nuriye and Semih,” the statement read. Semih Özakça and Nuriye Gülmen are Turkish educators who went on a hunger strike in May 2017 after they were fired from their jobs by a government decree following a failed coup last year. The educators were on the 76th day of the strike to protest their dismissal by statutory decree when they were arrested on terror charges on May 23 in Ankara. Gülmen and Özakça said their strike aims to draw attention to the situation of more than 150,000 state employees who were dismissed from their jobs.